Members of Lieutenant Hadar Goldin's unit say they will return battle standard when bodies of missing soldiers are not returned. Members of Hadar Goldin's unit sent an open letter to the prime minister and called on him not to allow the rehabilitation of Gaza without first securing the return of the bodies of Hadar Goldin and Oron Shaul. Yediot Ahronot reports that Hadar's friends intend to pick up the battle signal from Operation Protective Edge and return it to the Defense Ministry as soon as the agreement is finalized. "A letter that does not represent values ​​is worthless," they wrote. "That campaign did not end until the last soldiers are returned home." 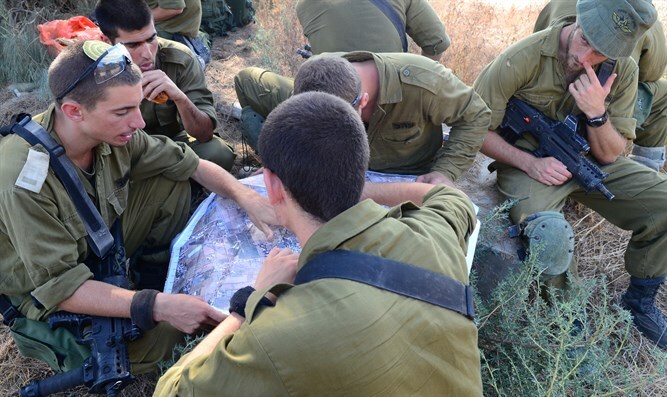 Hundreds of former fighters from the Givati ​​patrol battalion signed the letter, which was published online. "Today, nearly four years after Operation Protective Edge, we, graduates of the Givati ​​patrol battalion and Hadar Goldin's comrades stand ashamed in the face of promises that were not fulfilled, ashamed of the abandonment of soldiers and civilians in Hamas captivity," they wrote. "When countries around the world once again seek to rehabilitate Gaza, a window opens to the most humanitarian and just humanitarian demand in exchange for humanitarian aid. We expect it to stand as a wall in the face of any international organization to promote a solution to Gaza. They claim that if the bodies of the soldiers are not returned, they will, in a symbolic act, return the battle signal: "The value of the recruits facing their military service is essential for mothers, fathers, siblings, spouses and friends, and is essential for the security of Israel.The importance of returning the boys to us, reservists called for combat, can not be overestimated. And is essential for the security of Israel."